The Dedee Shattuck Gallery invites the public to an artists' reception to celebrate the opening on Saturday, July 7, from 5-7pm. In a world that is quickly moving away from the personal, my patterns work to bring people and communities together. I design to preserve the traditions of everyday life, and I do so through the patternization of objects and memories. I am inspired by the everyday objects we use to create ritual and tradition. My source material includes silverware, oriental rugs, baked goods, and pinwheels. On a daily basis these objects are overlooked and considered simplistic for their generic quality, but these objects also have longstanding social and economic significance and power. Silverware speaks of family dinners and social hierarchy, while oriental rugs have a storied history of cultural exchange and re-appropriation. The content of my work begins by exploring the significance of these simple yet evocative objects. My informed commentary then becomes a succinct and simple design in color, scale, and structure. 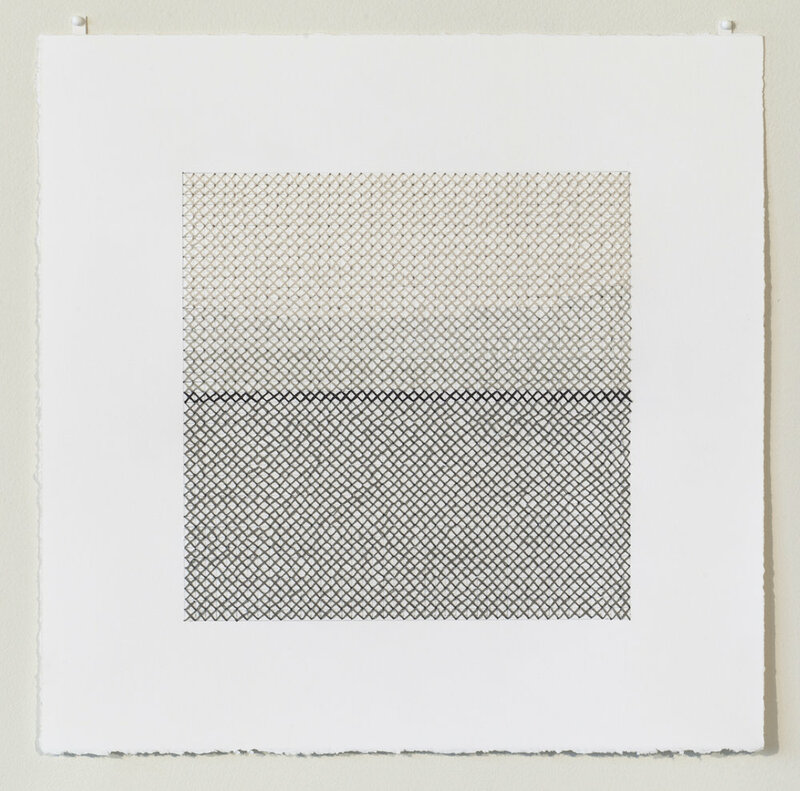 Currently I am pursuing a Master of Fine Arts Degree in Textiles at Rhode Island School of Design with a focus on weaving and print design. 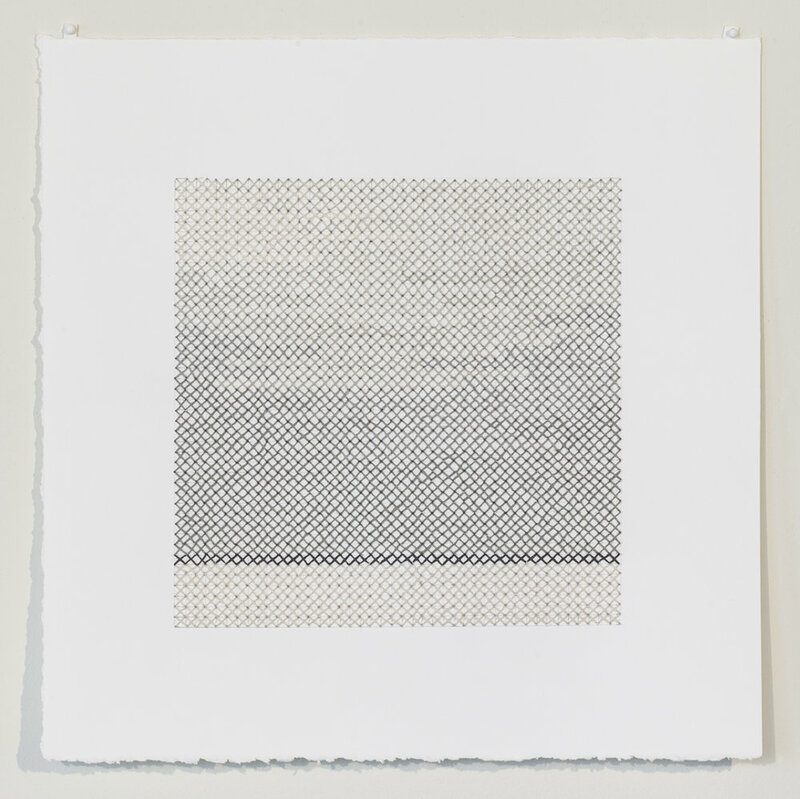 My work is an examination of place, heritage and identity.I am a lifelong resident of southeastern Massachusetts. 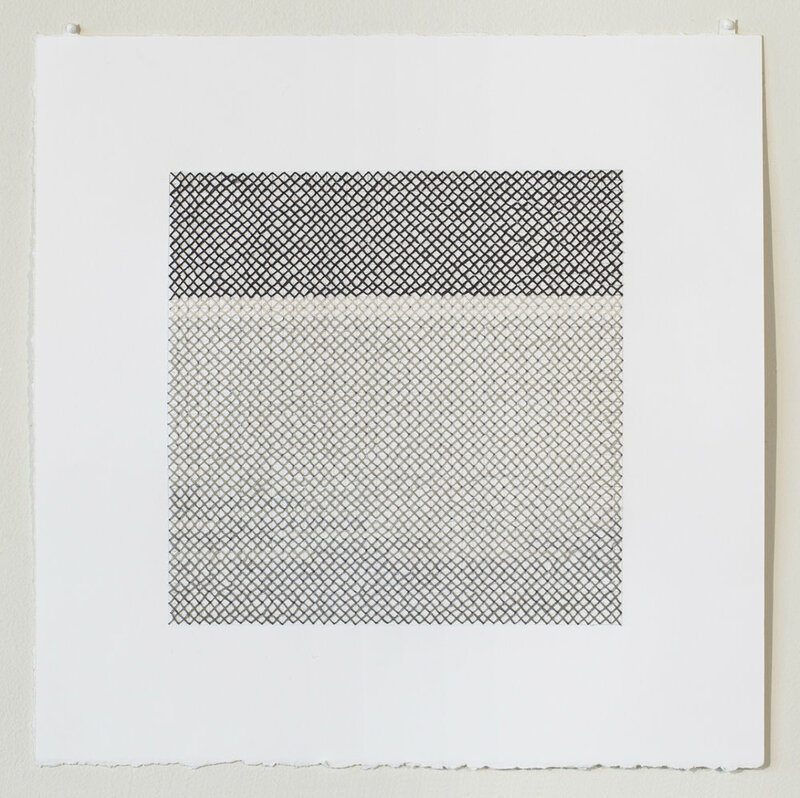 Residing in Fairhaven, MA, I have grown up in a printmaking family. Learning to silkscreen and engrave at an early age I began making patterns after studying and working for Artomete Design in Rome, Italy. Immersed in such an amazing culture in Rome I realized that the same passion I felt abroad can be found within my own heritage. Hand stitchery, sewing, knitting and weaving are all traditions that have been passed down through my Cape Verdean and Portuguese heritage. Completing my studies in Art History and Anthropology at Wheaton College in 2012, I furthered my education by working in museums, galleries and in other art non-profit settings. Thread is a simple thing found in every home. As a material, it evokes memories of handwork done by our grandmothers, binding the past with the present, speaking across generations. As a means of expression, it creates images, direct and graphic, that connect with the past and make us ponder the future. My grandmother, Jenny, taught me to love needle and thread by buying me my first stamped cross stitch pattern for my 6th birthday. It was a copy of an early American sampler whose letters spelled out "The way to a friend's house is never long." When finished, it hung in my mother's house until the day she died. 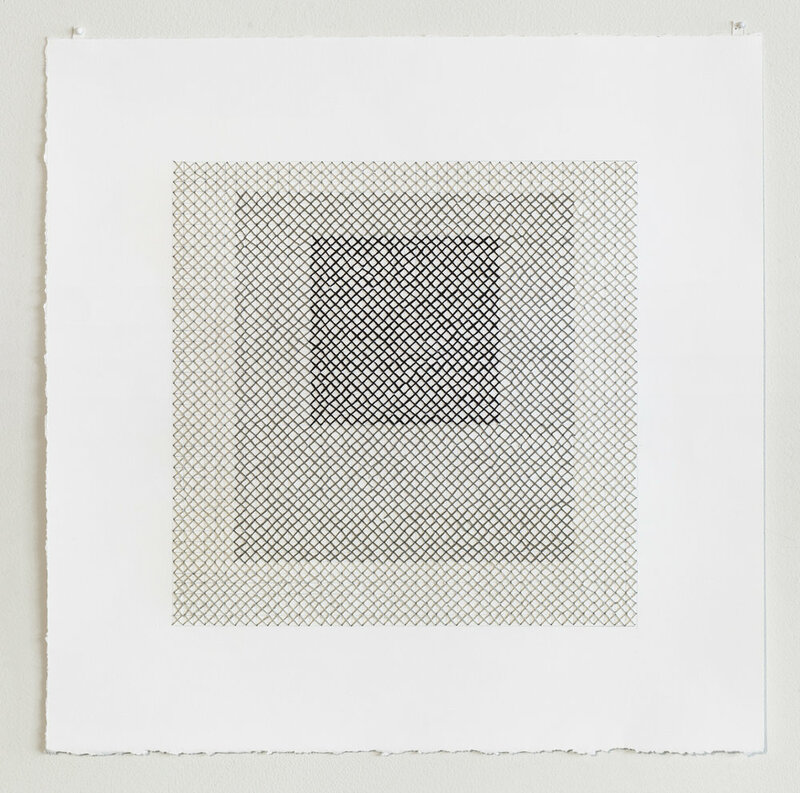 In my work, I have used the embroidery technique of cross stitch in various shades of gray embroidery floss as my sole medium. 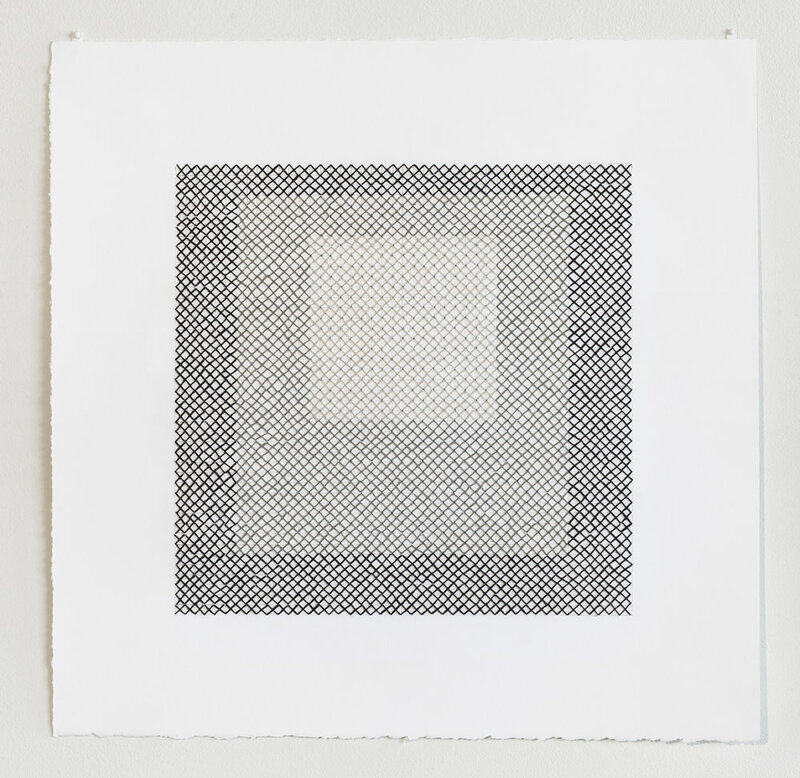 In my series Agnes and Joseph, I am tipping my hat to Agnes Martin and Joseph Albers. Thank You For Your Service originated during a reunion of my husband’s Marine Corps officer training class when the wives of his fellow classmates spoke of the hurt their loved ones suffered when they returned home from Vietnam and were called names and spat upon. Those wounds, they all agreed, never healed. While waiting to board our flight home from San Francisco, I heard the announcer calling those on active duty to the head of the line, ending with “Thank you for your service.” This series is my tribute to those who served during the Vietnam War and were never thanked. 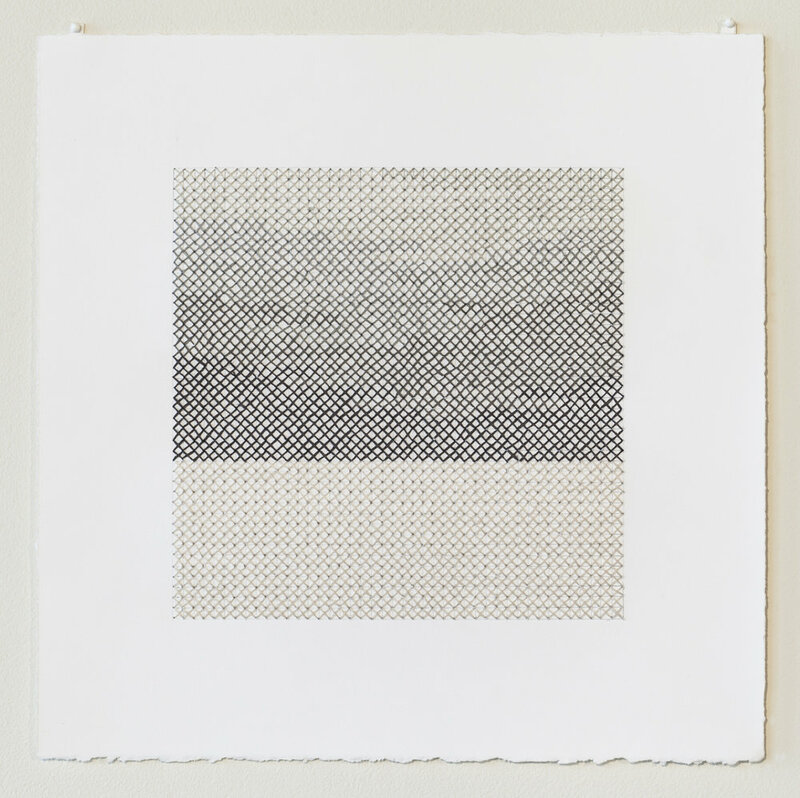 Marjorie Forté is a mixed media artist who works at her studio at Brickbottom Artists Building in Somerville, MA. She studied at Pratt Institute in Brooklyn, NY and the School of the Museum of Fine Arts in Boston. Working with thread and yarn since childhood, she continues to push the limits of her materials. 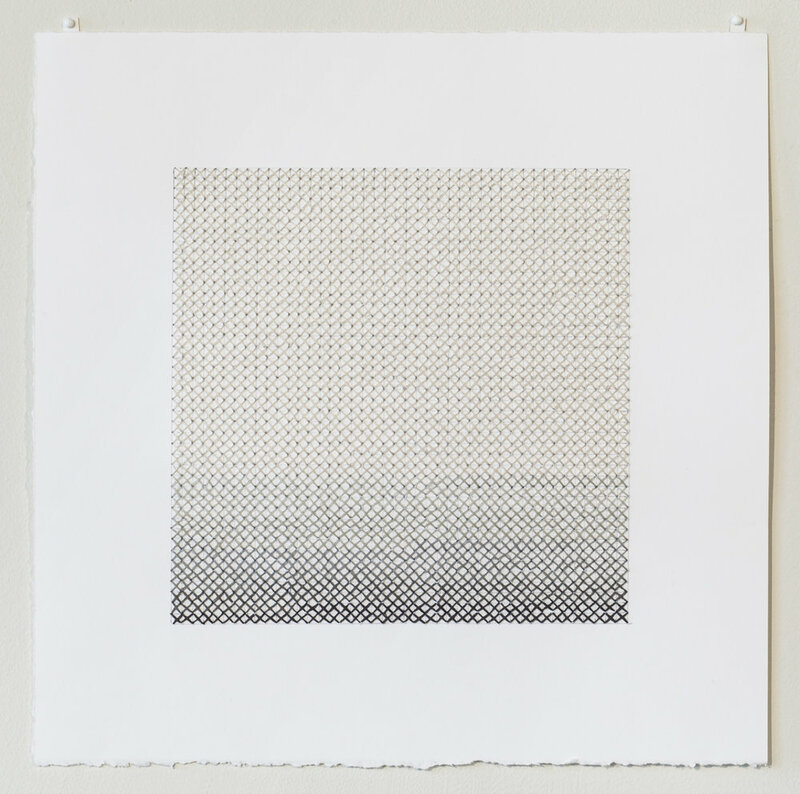 While recently focusing on fiber, she has worked in other mediums including oil sticks, charcoal, pencil, collage and monoprint. She has exhibited nationally and throughout New England. 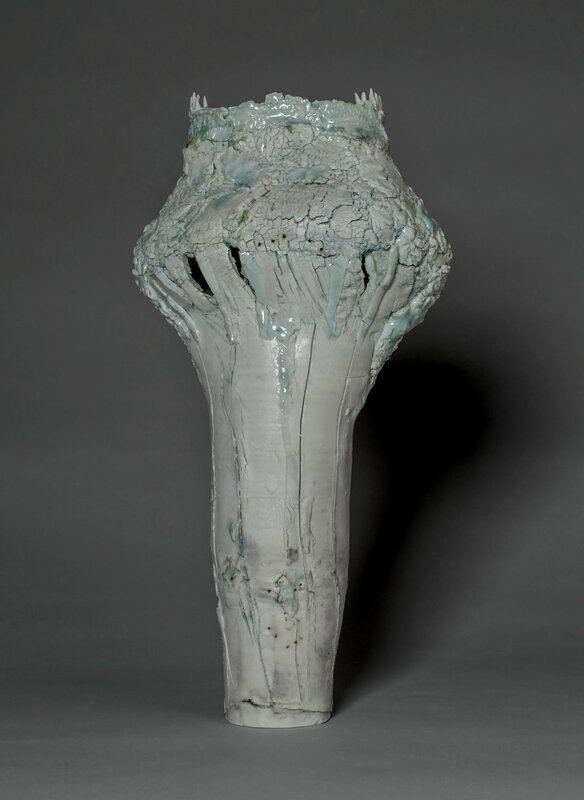 My ceramic work takes the form of wall pieces and sculptural vessels in porcelain. Ideas about growth and transformation affect the way that I physically manipulate the clay and are central to the meaning of my work. I think that in order to grow, all things must become imperfect. A life, an idea, and a work of art all begin with a kind of perfection, an untested plan of what they are meant to be. As things come to maturity, they are nurtured and buffeted by forces beyond their control – natural phenomenon, ideas, and time. These forces challenge and alter the blueprint, forcing both art and living things to become more complex, nuanced and ambiguous. Each becomes richer in history, developing layers of meaning and visual complexity. The perfect is transformed into a finer imperfect. Multiplicity is important in my work. 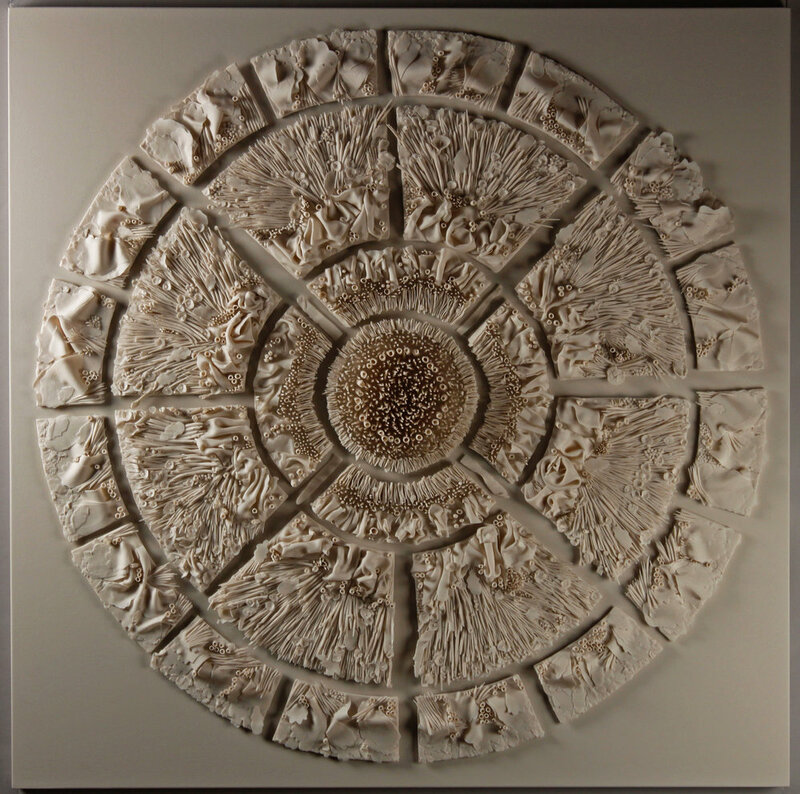 My wall pieces are made up of hundreds of clay fragments, assembled on thin porcelain tiles that are mounted together to form the design. The tiles are made using templates. Muscle memory directs the formation of beads, sticks and draped porcelain slabs from tiny bits of clay. In the end, these elements have all been made the same way, using the same plan, and yet they are all different from one another. When all of the fragments and tiles are placed together, the tension between the sameness and the subtle but distinct variation between each element creates the resonance and complexity that I hope to achieve. I believe one can also recognize the beauty of living things in this abstraction. I think that the particular qualities of dimension, curve, texture and color in a work of art are ultimately what compels a person toward intimacy, to welcoming art into their life. I believe the experience of art gives us a moment of sanctuary that clarifies our emotions and intellect. It lifts us from the mundane and awakens us. 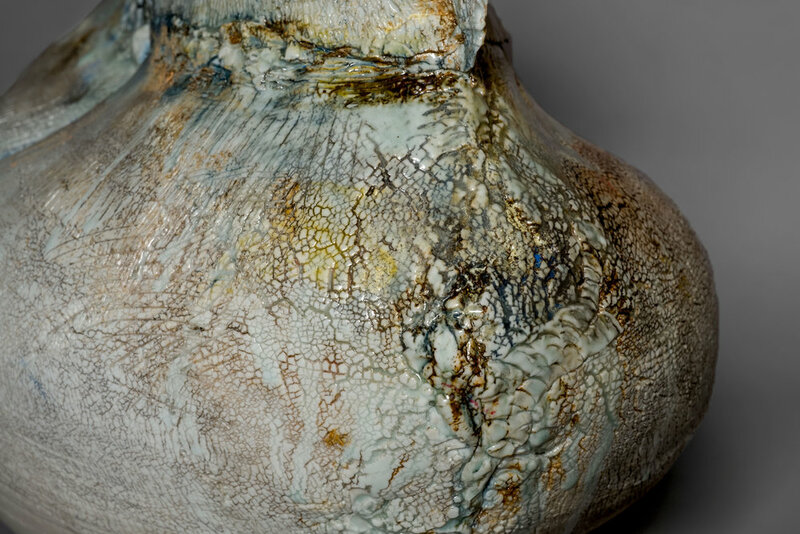 Mindy Horn has worked as a ceramic artist and as a paper conservator in Connecticut and New York. 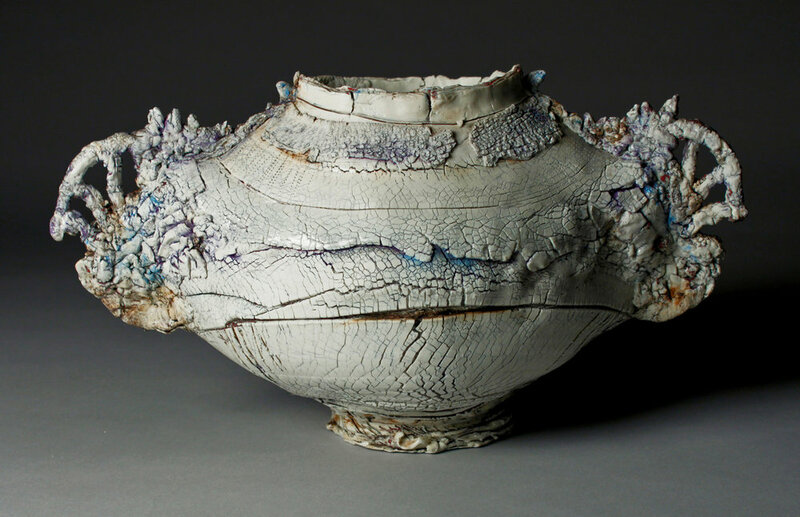 Her ceramics are in public and private collections. Her conservation practice works with museums, galleries and private collectors. She spends much of her time these days in her ceramics studio and in her garden in Weston, Connecticut. Her interest in ceramics and paper conservation relate to one another. Both disciplines require meticulous work, an appreciation of science and of technique, and the love and understanding of art. Porcelain and paper are related materials. Both are fragile, transformable and respond wholly to touch. With time and use, both materials perceptively record their own history. 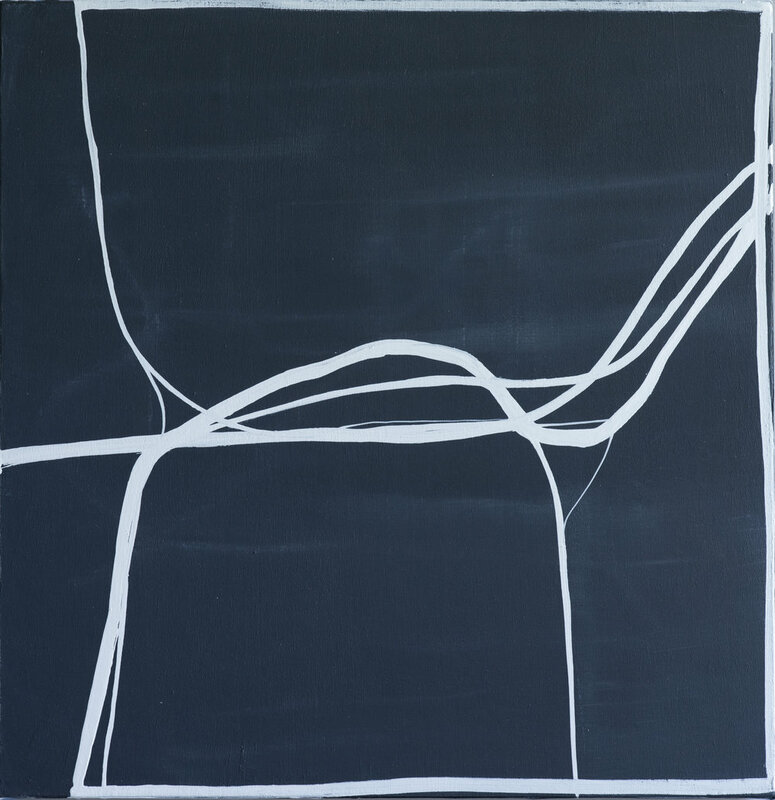 My work is process-oriented and is characterized by a painterly approach to abstraction and a loose, freehand drawing style. I use a variety of materials, but my primary medium has always been oil on canvas. I love paint: the way it can be brushed, poured or smeared onto a surface, and how you can build up layers that partially conceal and partially reveal what’s undderneath. I love the accidental drips, spatters and splotches that happen during the making of a painting. Process is key: Rather than working from a preconceived idea, I arrive at the structure of each piece, working and reworking its elements. My decisions can be carefully considered or highly intuitive. This give and take is integral to my process; it determines the ultimate form of each piece and results in work that is formal yet expressive, restrained yet personal. 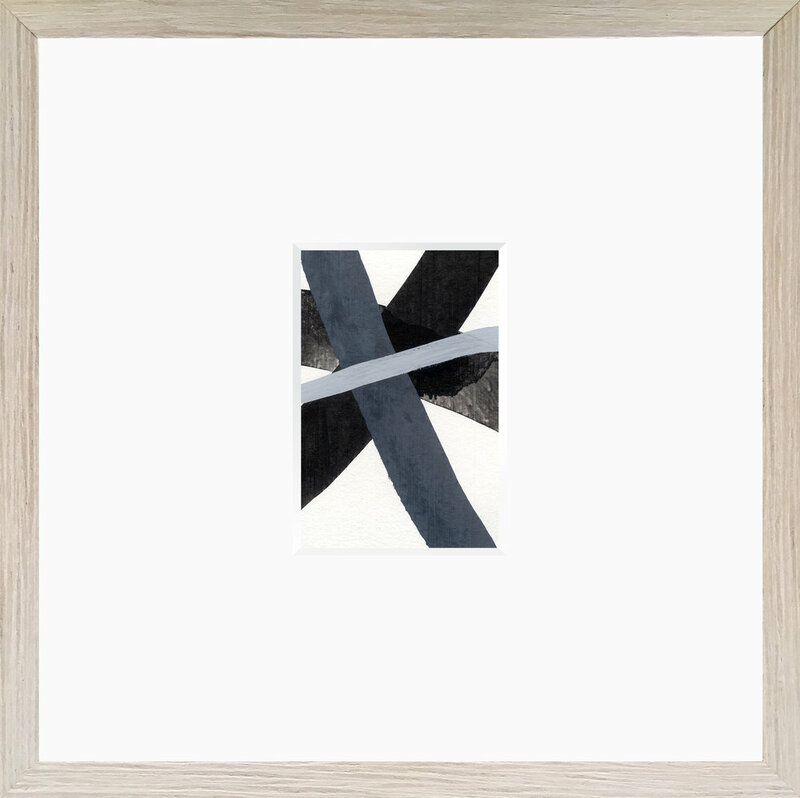 For the past few years I have been working on a series of black and white paintings and works on paper. 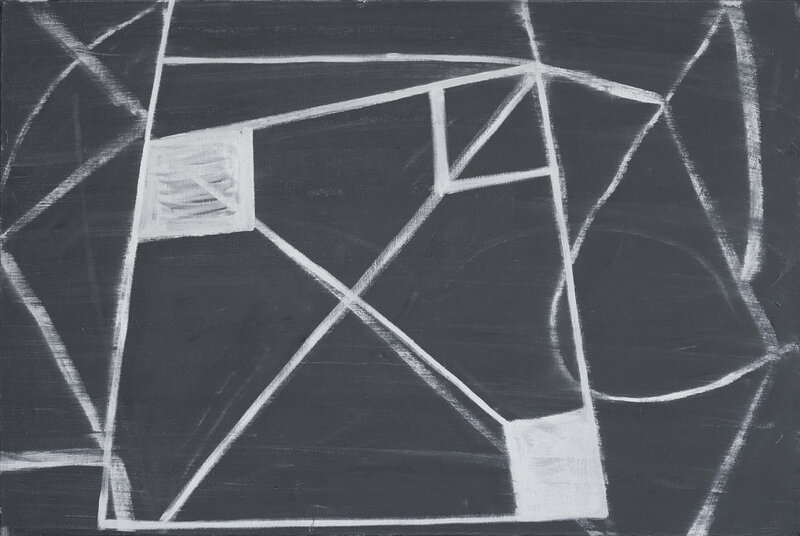 This body of work investigates the idea of structure in painting, and the way structure, content and meaning are inseparable. At the same time, they point to my continued fascination with painting and process.